In 2019, we can expect to hear a lot from two of the investment community’s favorite industries: digital health and biotechnology. Both industries experienced record-breaking years in 2018. Globally, over $11 billion was invested in biotechnology companies in 2018 despite a challenging Q4, shattering the previous record set in 2015. On the digital health side, $3.49 billion was invested in digital health startups in the US, equivalent to the annual National Healthcare Expenditure. However, while these two industries are similar in their sustained growth and promise, they sit at very different stages in their maturity. Since the introduction of recombinant DNA in 1976, the biotech industry has seen enormous growth, and its innovations have become an integral component of our daily lives. In modern society, we are wholly dependent on genetically-engineered innovations and pharmaceuticals that biotech brought forth. Biotech has become ubiquitous, and often governs our lives in ways we can’t easily identify. From the medications we take, to the food we eat, to the detergent we clean with, and the plastics and fabrics we use, biotechnology innovation touches many facets of our daily routines. Conversely, digital health just recently (<10 years) emerged as a profitable venture following the most recent tech boom that has led to rapid mobile app development, increased prevalence of data analytics, and the commercialization of personal IoT devices. Unlike biotech, we have yet to see digital health be universally adopted. While companies such as Apple are pushing for the commercialization of digital health with moves such as integrating ECG capabilities into their newest Apple Watch, many hospitals and clinics are just beginning to implement digital health products into their workflows. Digital health is still an infant industry, but is full of potential. In 2018, Digital Health experienced 858% growth as an industry, while the biotech industry experienced a growth of roughly 10% during this same time period. Today, digital health can be characterized as explosive and rapidly evolving, while biotech has moved away from its turbulent, infantile stage. In a side-by-side comparison to its sister industry, the biotech industry is more mature and developed than the digital health landscape. 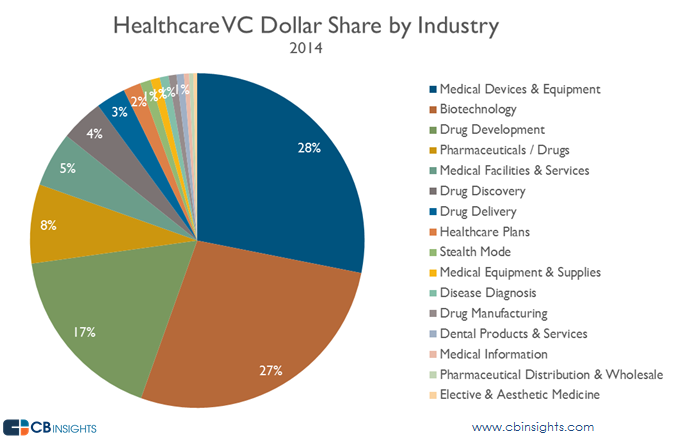 he industry as a whole has successfully established a name for itself, consistently earning a top spot in many VC portfolios, and today biotech can be viewed as the young adult role model which the digital health industry hopes to one day become. As digital health professionals, it is important that we use biotechnology companies as case studies, and identify “Lessons Learned” which can be applied to our own ventures. Below are three lessons that our team believes the digital health industry should learn from studying the successes and failures of life science ventures. In our experience in the healthtech space, we have encountered startups that instill many of these lessons into their core philosophies, and have succeeded as a result. One of the most challenging aspects of commercializing scientific innovations is addressing consumer concerns and hesitations. The biotech industry is no stranger to public criticism, as many groups and individuals have pushed back against the concepts such as gene editing. The biotechnology industry has had to manage a wide array of controversy surrounding its products and techniques, as many people are not in favor of humans augmenting naturally-occurring biological processes. From GMOs to the CRISPR baby, biotechnology has become a controversial topic in both the scientific community and the broader global conversation. The digital health industry can utilize biotech’s experiences with shaping public attitudes as guidance for designing products. Currently, many individuals are particularly concerned that digital health technologies are collecting, storing, and utilizing their data for unethical purposes, particularly in the wake of Facebook, and other large organizations’, questionable use and distribution of consumer data. Personal health information is far more sensitive than one’s data on Facebook, so fears of this information leaking are warranted. This has caused some individuals to hesitate adopting new healthcare technologies. Additionally, some consumers have struggled to adopt the digital health innovation of telemedicine. While some populations have embraced telemedicine as a convenient and cost-effective way to receive care, not everyone has wholeheartedly embraced its potential. Some people, particularly older individuals, struggle with telehealth technology, and insist on seeing their care provider face-to-face to address every medical concern. The efficiency of the healthcare industry can vastly improve if consumer apprehensions towards digital health technologies evolve. It is imperative that we understand and address consumer concerns, while also keeping in mind that new technologies will continue to facilitate controversy, and we must respect the limitations of consumer willingness. Remaining patient, respectful, and professional towards those who hesitate to adopt novel technologies is key to shaping cultural norms for a product. FDA approval is insufficient at protecting consumers from unsafe food and pharmaceuticals. When it comes to federal regulation, the FDA sits in a precarious position: how do they regulate innovation without stifling progress? How can we adopt novel technologies without jeopardizing patient safety? Because the FDA is tasked with making such complicated decisions regarding scientific innovations, it is inevitable that they will occasionally fail to protect consumers, even with rigorous processes in place. For this reason, satisfying FDA regulations is not always guise for rolling out a product. There have been instances where FDA regulations have proven to be insufficient at protecting consumers when it comes to new biotech products. One particularly notable example was in 2004, when Merck’s FDA-approved pain medication Vioxx resulted in 55,000 premature deaths from heart attacks and strokes. Additionally, Zafgen Inc., biotechnology company headquartered in Boston, conducted numerous clinical trials for its new obesity drug (Boston Globe link) in 2015, resulting in the death of two patients. The FDA eventually halted the trials a few months later, but only after considerable damage had been inflicted. Even when the FDA does its best, distinguishing between scientific progress and danger is often difficult for even the experts in the field. The FDA is not infallible, particularly when the influences of big money and political ideology are at play. The fallibility of the FDA demands that innovators themselves take responsibility for the quality and purpose of their product. The FDA cannot babysit scientific innovation; innovators must hold some responsibility. Digital health innovators should learn from the experiences of biotech companies such as Merck and Zafgen. Even early-on, digital health has already had a taste of the devastating repercussions that come with unscrupulous innovators, as was the case of Elizabeth Holmes and Theranos. It is critical that digital health professionals understand that the government cannot be responsible for finding every loophole in their product; they must undertake much of this work themselves. If this means hiring extra quality assurance personnel, or adhering to conservative safety precautions, then they should do so, knowing that their efforts will pay off long-term. Entrepreneurs should understand that meeting the bare minimum FDA requirements, or barely scraping by the FDA’s regulatory processes may pay off in the short term, but it can have complicated, career-ending consequences later on. The onus is on innovators themselves to make sure their product is safe, useful, and ethical. Not every innovative idea translates to a marketable product. And that’s OK. But when it comes to failing, there is a dignified way to fail, and an undignified way to fail. It is critical that entrepreneurs fail fast, early, and safely, without risking patient safety. Since 2001, software companies have increasingly adopted a methodology for software development called Agile. The Agile approach frames software development as an iterative process, with the “fail fast and fail early” principle at its core. When consumer needs and demands shift, Agile allows scientists to pivot their design without losing all their progress. Additionally, Agile provides immediate feedback to scientists as they work through the innovation process, instead of evaluating their successes and mistakes after the product is rolled out to consumers. Biotech and pharmaceutical companies have studied software’s Agile approach to improve their own innovation processes, proving that Agile principles can be applied to industries outside of technology. Although Agile methodology is more challenging to implement in the biotech space given the sequential, stepped process of clinical trials and FDA approval, its core principles can steer biotech products away from wasting time and resources on a drug that is dangerous or useless. Digital Health should look to Biotech to understand which Agile lessons are valuable beyond software development. Like biotech, digital health should implement applicable Agile principles to limit waste and optimize efficacy. Even if digital health professionals don’t adhere strictly to Agile guidelines, incorporating the lessons and reasoning behind the guidelines into the innovation process will improve the overall quality and timeliness of digital health products. Additionally, as soon as an entrepreneur knows that their product may not live up to the picture presented to investors, they should consider whether it is appropriate to walk away or continue to try to pivot. With digital health, there is an ethical imperative to be developing to save lives, not just developing to make money. Entrepreneurs should accept that they incur a moral responsibility since every dollar invested in their product is another investment dollars being taken away from other innovations that could have the capability to save lives. Knowing when to walk away from product development is crucial. If Uber, or Venmo failed to live up to investor expectations, that is one thing. If a drug produced by a biotechnology company fails to treat patient symptoms, it is not just a bad investment. Lives are at stake. And the funds that could have been put towards supporting a different promising solution to an illness are lost, and lives are lost in the process. Digital health and biotech industries are not just in the business of making life more convenient, cost-effective, or enjoyable. They are in the business of saving lives. Budding Digital Health innovators should look to their biotechnology predecessors to understand the power, and the responsibility, that their business decisions can have for the masses. Digital health innovators should conduct rigorous case studies not only of biotechnology entrepreneurs who overcame success to launch their product, but also those who decided to wind-down their operations. We can learn just as much from those who succeeded in launching a product, as those who gracefully exited stage left. So, Where Does this Leave You? We know that this is far from an exhaustive list of all the lessons that can be applied to digital health from the biotech industry. The lessons we have focused on primarily draw on moral and ethical considerations, which are the necessary building blocks for turning a brilliant idea into a sustainable company. We believe these three key ideas are central to any new health tech company’s success. Without keeping these lessons in mind, founders will find it extremely challenging to navigate the turbulent, competitive startup space. As health tech grows in the coming year, we look forward to seeing what insights can be ascertained and applied from the life sciences industry to the digital health space .